One way to get engaged at Boston University is to join a club sport team. While not on the same level of competition as the varsity-level teams, club teams allow students to meet new people, compete in the sport they love and have fun. The teams have differing commitment levels and talent expectations. While some are more competitive, plenty offer recreational teams or training. Club athletics allow students to learn a new skill while participating in something other than schoolwork. Baseball: Men’s baseball competes in the National Club Baseball Association and plays against other teams in the North Atlantic region. Tryouts occur each fall. Gymnastics: Operating at both recreational and competitive levels, the gymnastics team allows men and women to compete against regional schools and in national competition. It is part of the National Association of Intercollegiate Gymnastics Clubs. Hockey: Students can choose between inline and ice hockey. Games are played on weekends throughout the school year against other schools in the Northeast. 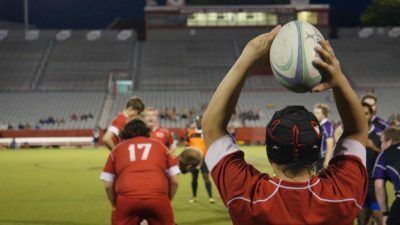 Rugby: BU offers both men’s and women’s teams. Both play in the fall and spring semesters and welcome new players at any skill level. ecades. It competes in the New England Interscholastic Sailing Association and the Intercollegiate Sailing Association. New members are welcome to be trained. Squash: The team holds tryouts every year for its 15-player team. Nine players represent BU during intercollegiate play in 10–12 matches annually throughout New England. 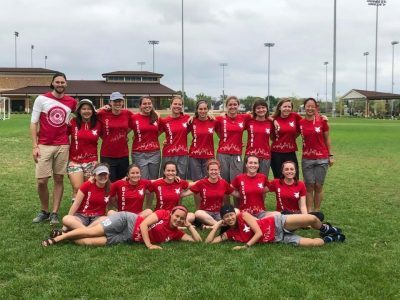 Ultimate Frisbee: Men’s and women’s teams play throughout the year in local, regional and national tournaments. The spring semester is the most competitive of the two, when the team travels to compete nationally. Volleyball: Teams are highly competitive, participating in numerous tournaments throughout the school year. In the spring semester, both compete in national tournaments. Water Polo: Both men’s and women’s teams play as members of the Collegiate Water Polo Association. The team looks for strong swimmers to compete in tournaments across the Northeast. For more information on individual teams and how to join, visit BU’s Fitness and Recreation Center website.